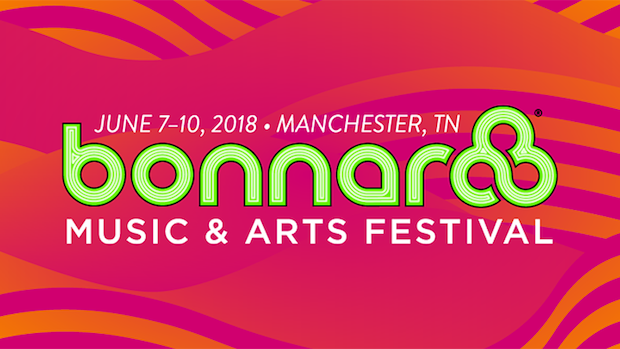 Back in January, Bonnaroo unveiled its full 2018 lineup, featuring the likes of Eminem, The Killers, Muse, Paramore, Sturgill Simpson, Future, Bassnectar, Bon Iver, alt-j, Dua Lipa, Sylvan Esso, Nile Rogers & CHIC, Brockhampton, First Aid Kit, Broken Social Scene, T-Pain, Manchester Orchestra, St. Paul & The Broken Bones, Lany, Mavis Staples, The Regrettes, Post Animal, R.LUM.R, Ron Gallo, Okey Dokey, *repeat repeat, and many more. Since then, we’ve seen the breakdown of daily lineups, along with a variety of news about new experiences, comedy, DJs, food, and more- all of which we’ll be rounding up in a ‘Roo news recap shortly. The last piece of major news each year, however, is the full schedule, and this season it dropped a bit earlier than usual, giving us a couple extra weeks to start meticulosity planing our weekend, and sorting out any inevitable scheduling conflicts. Returning June 7-10 to Manchester, Tenn., the long-running fest is on sale now, with traditional GA passes, a whole host of VIP options, add-ons for camping or parking, and even a simplified single-day system, all right here. 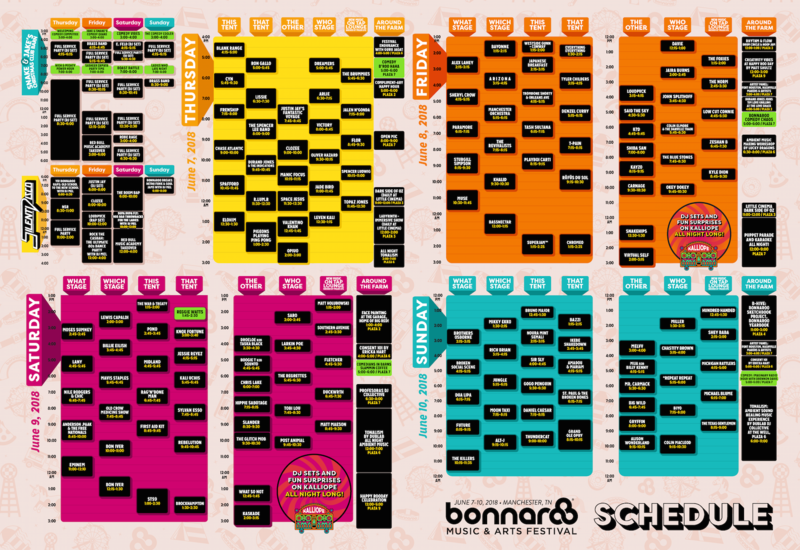 Check out the full schedule below, or visit Bonnaroo’s site for a more interactive version (there’s a separate, very cool activities and experiences schedule too). Finally grab the official app to make a personal schedule, and to stay on top of all things Bonnaroo. See you on the farm! Philip Obenschain moved to Nashville from Virginia in the summer of 2012. He's spent time as a touring artist, artist manager, and show promoter, and is currently involved in video production and hosting, podcasting, and tech. In addition to No Country, you can find his work on Alternative Press, Noisey, YouTube, and a variety of other outlets and platforms. Reach Philip directly at [email protected], or at the social media links below.